As part of the new food trends of recent years, many consumers now value locally bought ingredients. 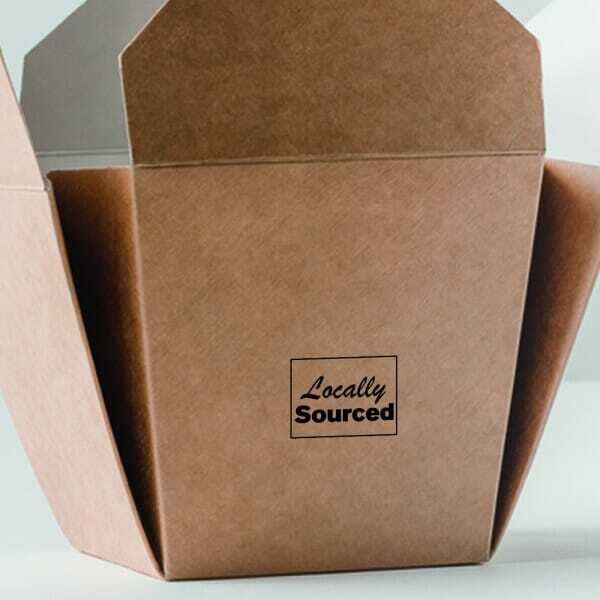 This stamp is ideal to advertise on your takeaway food packaging or paper menus that your ingredients are locally sourced. It is a self-inking stamp, which means that no separate stamp pad is required as the ink cartridge is already built in. The ink will last for thousands of clear imprints. Once it does run out, replacement ink cartridges are available so that your stamp will last even longer. Customer evaluation for "Takeaway Packaging Stamp - Locally Sourced"